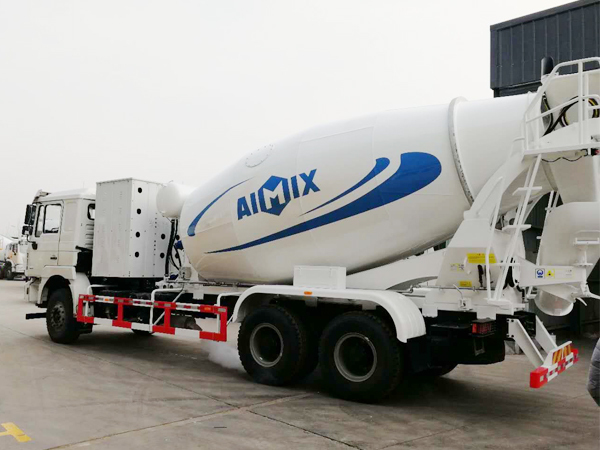 With the steps of city construction, the requirements of the quantity of concrete mixer truck for sale is becoming larger and larger. 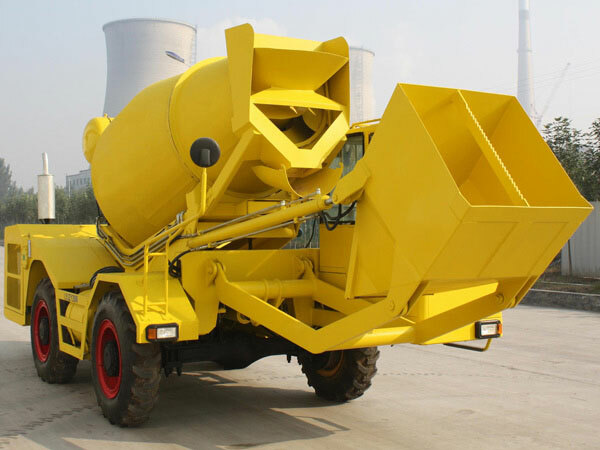 Various types of concrete trucks are produced, among whom the obvious two types of cement truck are the most popular products, those are concrete mixer truck and self loading concrete mixer. 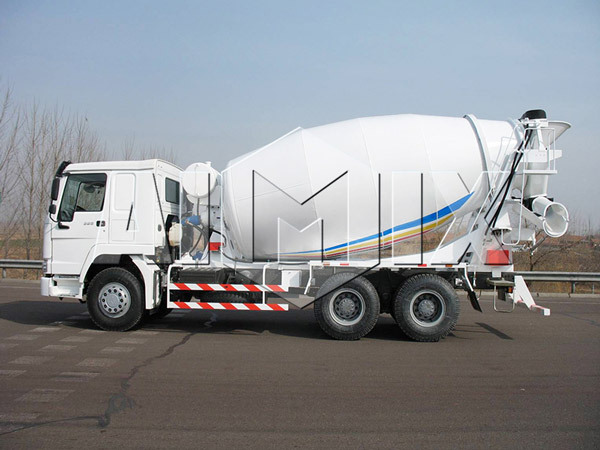 Mobile concrete mixer truck and self-load concrete mixer are both convenient construction vehicle that stir and transport concrete to working sites, but for self loading concrete mixing truck, it also can feed , mix, meter and discharge by its own. 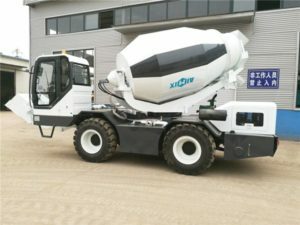 for self loading concrete mixer truck, the cab is at the center of this equipment, the view of the operator is higher than mixing cylinder, therefore, the sight line on the left, right and the front are very good, there is absolutely no visual blind area and lead to safety accidents such as furrow. Furthermore, this kind of design of structure and position in cab, center gravity of the equipment is always at the center of the device, which ensure the stability of concrete mixer self loading during the process of construction mixing and movement mixing. On the contrary, some trucks on the market now there will be obvious jitter and deviation from the center of gravity in the process of movement, thus, mixing quality and construction safety can’t be protected well. Compared to other brand equipment, under the premise of same size of the whole machine, chassis wheelbase is short, this design can achieve quick turn around on a narrower surface, otherwise, if the chassis system with a long wheelbase, it is almost impossible to turn around. 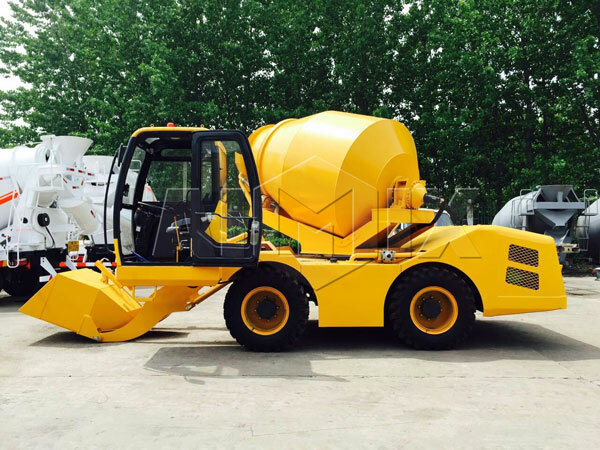 Above all, these two type of construction machinery both can progress the working process, enhance construction quality and reduce time and cost of material.